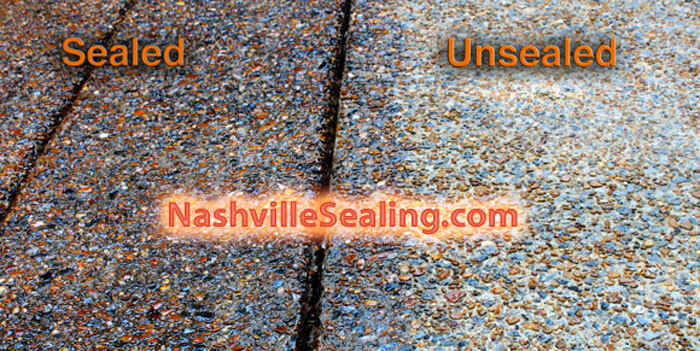 Nashville Sealing where you can get your patio or driveway sealed. The importance of sealing your surfaces. Sealing patios, driveways, made of pavers, stone, and concrete is a critical step in maintaining the durability, and look of your concrete and stone. We can help with all of your Nashville sealing needs. We all know weather and sun light play the major roles in destroying our hard surfaces. Sunlight diminishes the effect of dyes like the ones installed in stamped and dyed concrete, or pavers. Sealing pavers and stamped concrete is vital to maintaining the colors richness. Without sealing your pavers will soon dull to a muted neutral color, stamped concrete will eventually turn unpleasing colors if not sealed. 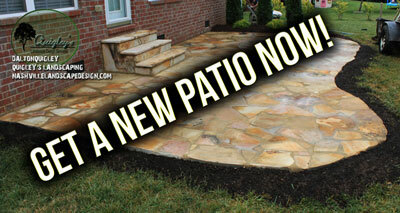 Natural stone like flagstone in a stone patio will form cracks eventually because of the freeze/ thaw cycle that happens as cold fronts come in and out of our area. First it rains and water gets into the pores of the stone, next the freezing temperatures of the following cold front cause the water in those pores to expand and this makes the cracks and flakes we are familiar with. The way to avoid problems with natural stone is to seal the surface, however not all sealers can be used with stone so a trained professional is best for the job. Concrete like aggregate either the gray or brown we see here in Middle Tennessee needs to be sealed yearly or the stone begins to separate from the rest of the surface. Have you looked at the lower end of your driveway and noticed small pieces of pea gravel that have broken free of your driveway and drifted down to the end with the rain water? This is happening because the driveway has not been sealed. Get it sealed. What is your sealing process? We need to know your location, how large the square footage is, and you will need to know that the area needs to be cleaned. Typically we pressure wash the surface, wait until it dries thoroughly and then we seal. Get in touch with us for an estimate for sealing your patio, or driveway. 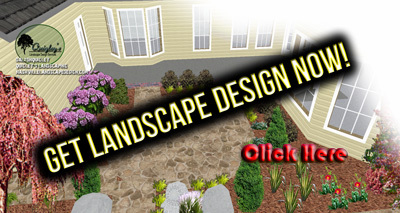 Get an Estimate!